Since the v19 release in December, over 40 thousand users have upgraded to the new versions and are enjoying the multiple collections feature, the automatic cloud syncing of their own images, the new Flex template and of course the speed of the 64-bit version. In the meantime, there have been multiple maintenance builds with small tweaks and fixes to new issues, mainly for the 64-bit versions. Right after the release of v19, we started receiving reports from users that their TWAIN image scanners would not be found when using the 64-bit version. A temporary work-around has been to use the 32-bit version of version 19. However, our Windows developer Joe has been able to resolve the problem by switching to WIA for image scanning in the 64-bit versions. If you have been running into the image scanning problem, make sure to update to this week’s maintenance build. Want to update to v19 but your Update Plan has expired? Then renew by LOGGING IN to our CLZ shop here. 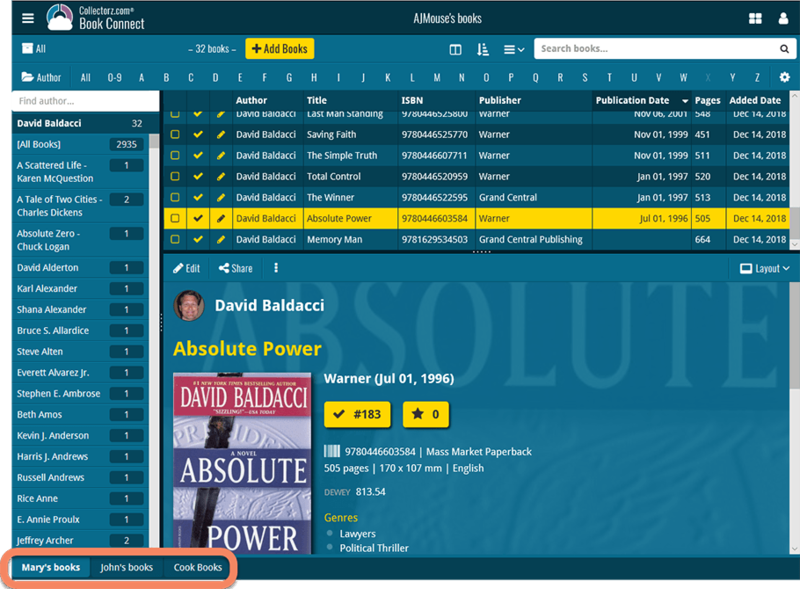 The “Multiple collections within one database” feature is now live in the Connect web-based editions too! The collections will appear as little tabs at the bottom (e.g. like in Excel), so that you can easily switch between them. Use the Manage Collections tool from the menu to create new collections and to rename/remove/re-order them. Also new in Connect: Notes field can now be added as a column in List View. The v19 releases for macOS are very close now. Bernard is finalizing the programs, AJ is testing, testing and testing. We aim to release the first one (Movie Collector) next week! Make sure your Update Plans are ready for these huge updates! A BIG v5 update is coming for all CLZ mobile apps (iOS and Android). Pim (mobile developer) and Robbert (lead web-developer) have been working on this project for quite a while. Tester AJ is now joining them too. Finally “Find Cover Online” on mobile! Web-developers Stijn and Joel are working with our content managers Rowdy on Martin on multiple projects related to our “Core” online database and our server infrastructure, preparing for new Core features and new Core data. Details will be disclosed later, but I am sure you’ll like the improvements!